Home»Itchy Skin»Can Allergies Cause Itchy Skin? If you ask can allergies cause itchy skin, then the answer is yes. 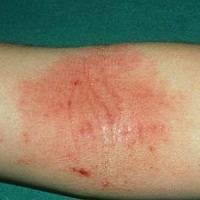 Itchy skin is one of the sign that you’re allergic to something. Medically, itchy skin called Pruritus. And it can be a significant symptom of some conditions, such as dry skin, skin conditions, internal disease, and allergy. Allergy’s most common symptom is itchy skin. Can be with bumps or redness around some areas on your body; your arms, legs, neck, or maybe even your whole body. The symptom occurs when the immune system in your body overreact to something that’s harmless to most people, but for your sensitive body, it triggers things like itchy skin and many other symptoms. The thing that triggers your allergic reaction called allergen. Allergen comes in many different shapes. It can be food, weather, drug, animal and many other things. And if you come in contact with the allergen, your immune system thinks it’s a threat to your body and will react to it by releasing a chemical called histamine to counteract. Releasing histamine cause variety of symptoms including itchy skin with rash. But it’s not the only symptom. Headache, sneeze, runny nose, swell, nausea, diarrhea, and even a life-threatening symptom like anaphylaxis can occur. You will recognize anaphylactic reaction when you have trouble breathing, have rapid weak pulse, skin rash, nausea and vomiting in a same time. The massive flow of histamine released in your body shock your body, drops your blood pressure, and narrows your airway. Rashes that occurs during an allergic reaction vary. 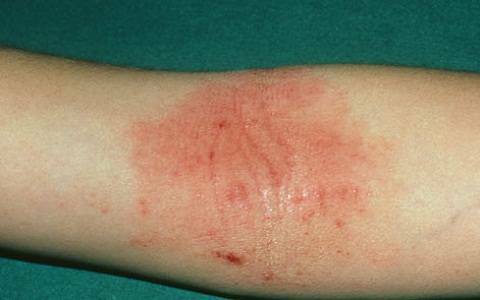 Two of allergy-related rashes are eczema and hives. 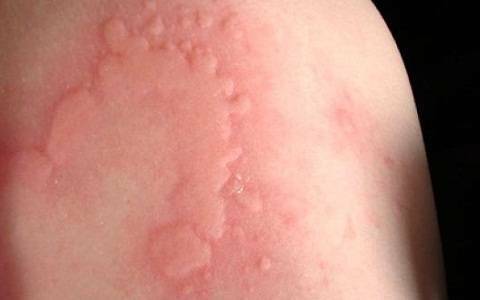 Urticaria is the medical term for hives, which are red, itchy, raised areas of the skin. The appearance is not always the same every time some has allergic reaction. The first time might be around arm or leg area, the second time might only be around the back of your body. The size and shapes also vary. Most cases are acute and the hives can go away within a few days or weeks. But for a severe condition, it lasts for months. While eczema looks a bit different than hives. Your skin become rough, inflamed, and red. It also appears with blisters that cause itching and bleeding. You’ll feel the urge to scratch it. But you feel a little pain when you scratch, and the more you scratch, it might bleed. So, can allergies cause itchy skin? The answer is yes, but it’s not the only symptom. Allergy seems like a little illness that won’t do you no harm. But if you completely ignore that, if you know that you’re allergic to something but you still have contacts with the allergen, it won’t do you any good. So better check your blood to allergist and prevent it from happening.